The earring and other gold objects found in Tomb 295. This gold filigree earring was found along with a number of other gold items in one of the sarcophagi burials in Tomb 295. 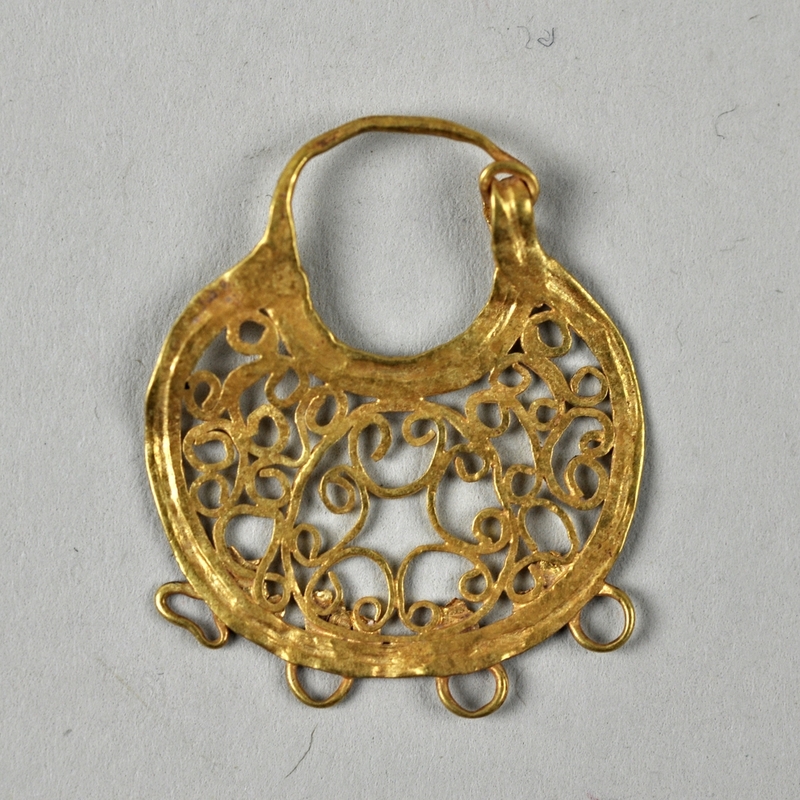 The four loops at the bottom of the earring suggest that this piece is incomplete and had a dangling item from each loop. Date: 300 - 400 C.E. Baramki D. C.. “Note on a Cemetery at Karm al-Shaikh, Jerusalem.” Quarterly of the Department of Antiquities of Palestine 1 (1931): 3-9. See Plate V, no. 10.